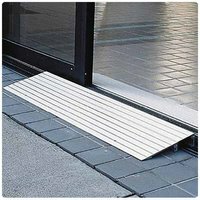 EZ-Access Threshold Ramp - 2" x 12" x 34"
The EZ-Access Threshold Ramp is a lightweight yet free-standing modular ramp designed for doorways, sliding glass doors and raised landings. 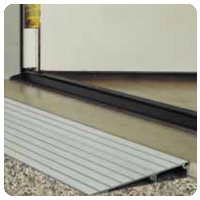 This seam-free ramp is 34" wide and easily accommodates thresholds from ¾" to 6" high. Ideal for use with wheelchairs, walkers and cane users. Made of anodized aluminum and is intended for indoor or outdoor use. 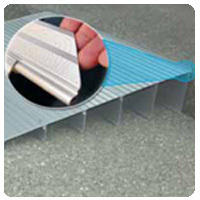 Usable Size - 2" x 12" x 34"
You can earn 72 Ocelco Cash Reward Points on this product!